Researchers from the University of Michigan (USA) have found a way to radically increase the conductivity of organic materials in solar cells. Opening can bring closer the creation of fully transparent solar panels, which can be used in windows and facades of buildings, writes Science Daily. "For many years people have been referring to the poor conductivity of organic substances as an inevitable fact, but this is not always so," says the study's head, University of Michigan professor Stephen Forrest. Today, inorganic conductors, such as silicon, are used to fabricate solar panels, which have tightly coupled atomic networks, which facilitates the movement of electrons through the material. They have two obvious drawbacks: high cost and opacity, which makes their widespread use impossible. Organic materials are much cheaper, but they have much weaker bonds between individual molecules, which makes it difficult for electrons to move. However, scientists managed to increase the conductivity of such materials several million times, reports hightech.fm. In modern organic materials, electrons can only travel a few hundred nanometers. A team of Michigan scientists found that a thin layer of fullerene molecules - round carbon molecules, also called Buckyballs, allows electrons to travel a few centimeters. Given that one centimeter contains 10 million nanometers, the increase in conductivity is millions of times. Today, the surface of organic solar cells must be covered with a conductive electrode that collects electrons at the point where they are initially generated. But electrons moving freely by means of fullerenes can be collected far from their origin. This means that it will be possible to "squeeze" the conducting electrode into an invisible grid and thus produce completely transparent panels that can be used in the windows of buildings. Professor Forrest warns that until the wide spread of new technology is far away. But he is sure that the opening will make a breakthrough in alternative energy. "I believe that solar energy is the key to feeding our constantly overheated and increasingly crowded planet," he says. - This means that solar cells should be used for everyday objects, such as building facades and windows. Such a technology can help us produce energy inexpensively and almost imperceptibly. " The scientists of China announced the world leadership of the country in the development of satellite atomic clocks, the latest examples of which are used in the Chinese navigation system Beidou. This was reported by the Xinhua News Agency. "Unlike previous developments, the new watch is smaller, lighter and, in comparison with the best world analogues, have more performance," say the creators of the device from the Chinese scientific aerospace and industrial corporation. The satellites of Beidou's system of land were last sent into orbit last week. They are equipped with rubidium and hydrogen atomic clocks of the latest generation. These devices for measuring time work due to the periodic process of oscillations of atoms. It is expected that by the end of 2018, the Chinese navigation system will cover the territory of all countries of the Economic belt of the Silk Road, and by 2020 will be global in nature and will have 35 satellites. The American company Amazon opened the first offline supermarket in Seattle. Before this, the technology was tested for about a year. 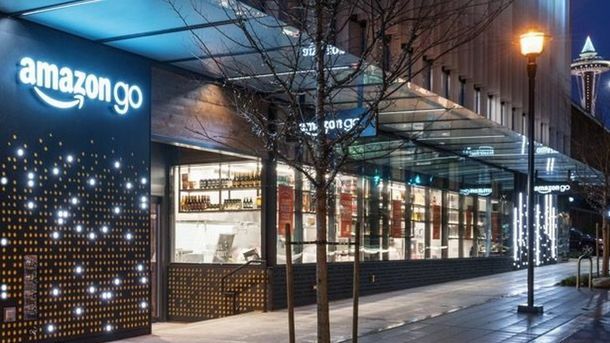 The Amazon Go supermarket is located in the headquarters building of the company. Cameras and sensors monitor the fact that people take shelves and return them. After the buyers take out the goods they need, and the purchase price is automatically written off from the Amazon user account. In order to visit the store, you need to download a special mobile application. Before entering the store and after completing purchases, the phone must be scanned at a specialized turnstile. The chosen goods are not to be scanned anywhere. The company claims that the system does not use face recognition when shopping. The testing of the store began more than a year ago. Then the technology did not work well with a large number of people. However, this problem has now been resolved. A few months ago, a group of company employees successfully tested the purchase system, dressed in the same Pokachu suits of Pokémon. In the IT industry, most companies compete with each other, but often there are agreements on cooperation and mutual use of patents. 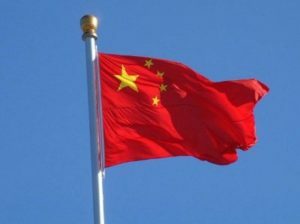 So, Google and Tencent Holdings Ltd. formed an alliance by signing an agreement, which provides for the possibility of partners using each other's patents. In addition, the companies plan to work together on new technologies and products. 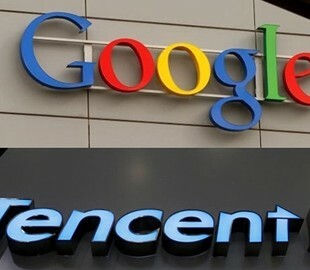 Tencent will help to expand the influence of Google in China, and Google will help the Chinese Tencent to enter the world market. It is worth noting that at the moment in China, various Google services are blocked, and the corresponding search service does not work in the country since 2010. New technologies, globalization, artificial intelligence, labor automation have a very big impact on the person and on his work. Over time, various spheres are transformed and a person will need to be in time to quickly rebuild to stay in the jet, reports womo.ua. "The changes will happen so quickly that 50% of the activities that exist today will disappear after a few years, so we will live in an environment that adapts and constantly changes," says Liz Bentley, founder of the Liz Leadership Development Consulting Company Bentley Associates. If you are planning to make a career as a manager, be sure to master the following skills that will be needed in 2025. 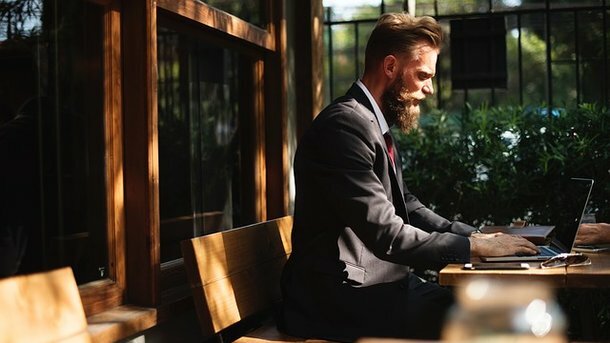 "If IQ is a measure of your mental development, EQ is a measure of your emotional development.The high level of EQ will help you easily identify your own strengths and weaknesses or your colleagues or bosses and this knowledge will help you find ways to improve any crisis, difficult situation," - commented Craig Dalzel, senior manager of technology recruitment firm Pearson Frank. People with high EQ tend to be more empathetic, therefore can see the situation from the perspective of others. "Given the fact that representatives of the Z generation will soon enter the labor market, it is in our best interests to adapt them in the workplace. In a few years you will get a business environment that will be much better, real." This also means that the culture of management will be different ", He notes. Technologies will develop in the future, so that there will not be any work that will not be protected from the consequences. This will generate new challenges, conflicts and opportunities related to the creation of skills such as data management, confidentiality management, etc. Managers will need to be well versed in technology in order to anticipate risks. Liz Bentley is confident that effective managers and leaders should be less self-centered. The approach "I am a leader, so you must listen to me" will no longer be relevant. Therefore, the mileniam, who will make up the bulk of top managers in 7-10 years, you need to take this into account. Bentley says that managers should be more "outcentric" - "out of the center", that is not authoritarian, and focus on the development of people and teams around them in such a way as to be themselves active and valuable team members. In the era of the Internet to hide any information is very difficult - from private notes and to intracorporate data. So people will need managers who can be trusted, and those can only be those leaders who do everything transparently, not hiding anything from their employees. Increasingly, people work in freelancing, therefore, the situation is not so important as before. Therefore, top managers must develop strategies to make work with contractors and freelancers more effective. They will be able to do this if the remote workers are 100% autonomous and at the same time 100% accountable, "said Jennifer Currens, president of the consulting company OnCore Management Solutions. "Performance is based on results, not hours, because we see more remote jobs, more flexible work schedules, managers really have to focus on aspects of communication and relationship management," she says. The demographic changes, the change of generations, the expansion of the circles of communication due to foreign partners, remote employees, the emphasis on finding a gender balance - all this means that new leaders must be sensitive to cultural differences, says Rita Santelli, general manager of the Savvy consulting company, strategic and innovative leadership at Georgetown University. Therefore, they will have to build their management policy considering all these differences in order for the team to work effectively. "Effective managers must comprehensively assess the employees, given their ability to interact with other people and to a purely professional ability," notes Rita Santelli. The best will be considered employees who will have strong critical thinking and creative approaches to solving problems.